A few months ago, we took you on a tour of bookbinder Wade’s workshop. Showcasing everything from your basic ruler to the not-so-everyday Micrometer Caliper, we barely had enough room to cram one of each item on our Bookbinding Tools poster, let alone explore the intricacies of the instruments used in the paper arts! 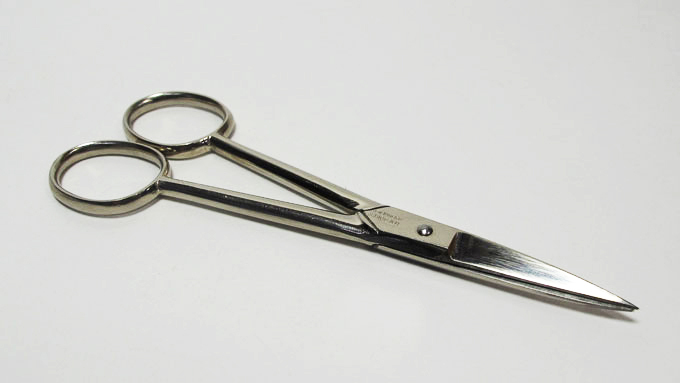 This time, we’re delving a little deeper and taking a sharper look at one particularly indispensable tool – the scissor. 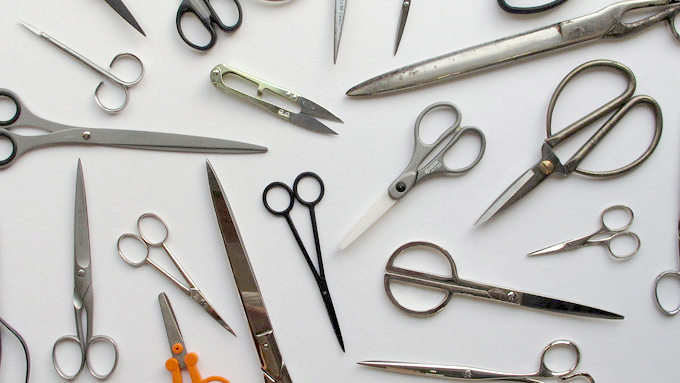 You may think that you learned everything there is to know about scissors during arts and crafts in school but, trust us, there’s a hidden depth to this common item. And while everyone can hopefully appreciate the differences between plastic safety scissors and the type of blade used to cut through leather, we’ve never met anyone as passionate about scissors as Paper-Oh designer Nadine. With cutting being an integral part of bookbinding, it’s no surprise that Nadine would spend a lot of her working hours with scissors. What one may not expect is that collecting these instruments is a hobby all its own! From her collection of over 30 scissors, here are 5 of Nadine’s favourite, most unique designs. Bought in Ascona, Switzerland, this pair is a Red Dot Product Design Award winner from 2006. Careful – these may look like safe and smooth, but ceramic blades are actually incredibly sharp! 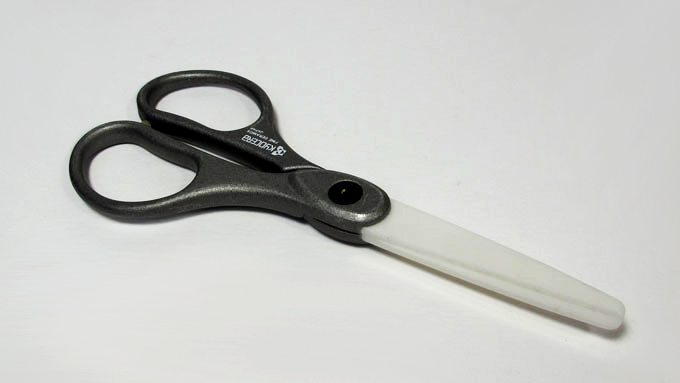 Because they’re not metal, magnets won’t stick to the blades and glue easily peels right off. 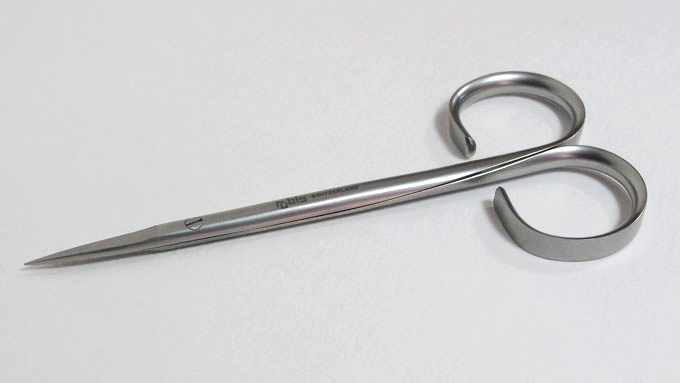 These very rare, easy to handle Hans Wilhelm Böker scissors come from Solingen, Germany’s “City of Blades.” Nadine bought these during her apprenticeship and still uses them regularly! This pair is more “collectable” than “tool.” Nadine’s friend, a carpenter, made the wooden box and the scissors simply rest there, sleeping, to be admired but not used. 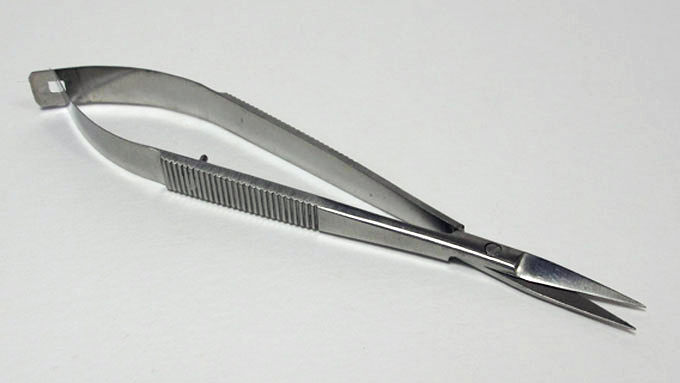 These may look like tweezers but, like the rest of Nadine’s scissors, they’re used for cutting, not plucking! They’re ideal for getting into corners in boxmaking as you don’t have to fit your fingers through any holes. 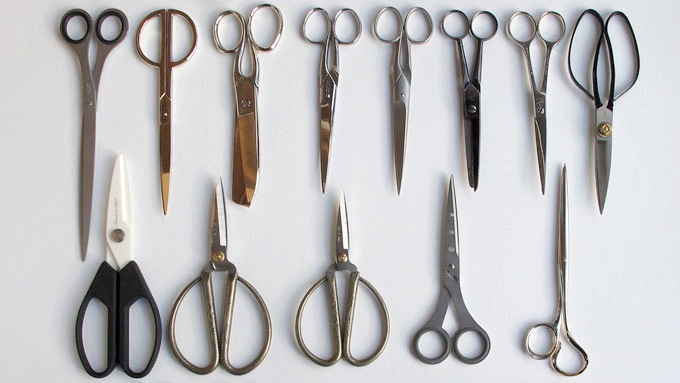 Of course, these are but 5 scissors out of Nadine’s ever-growing collection. In the time it took us to put this story together, she’s already added more!